ANOTHER big trend making its way down the runway during the current spring summer collections is pastels. 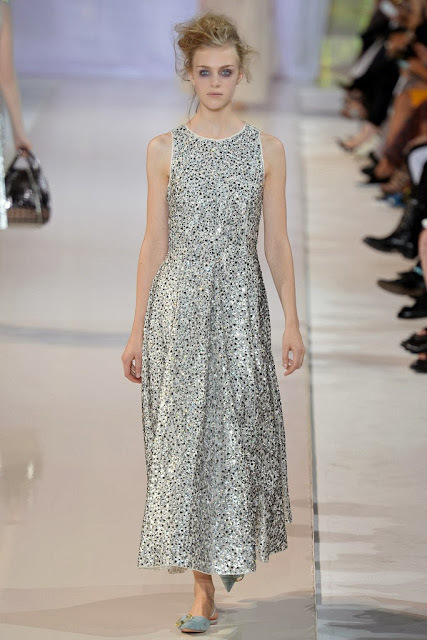 We saw it at Burberry in London, and Jenny Packham and several other designers in New York. 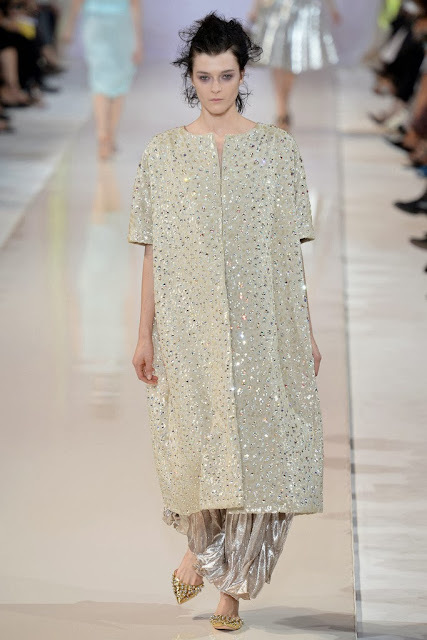 But the best so far, in my opinion, has been Rochas. 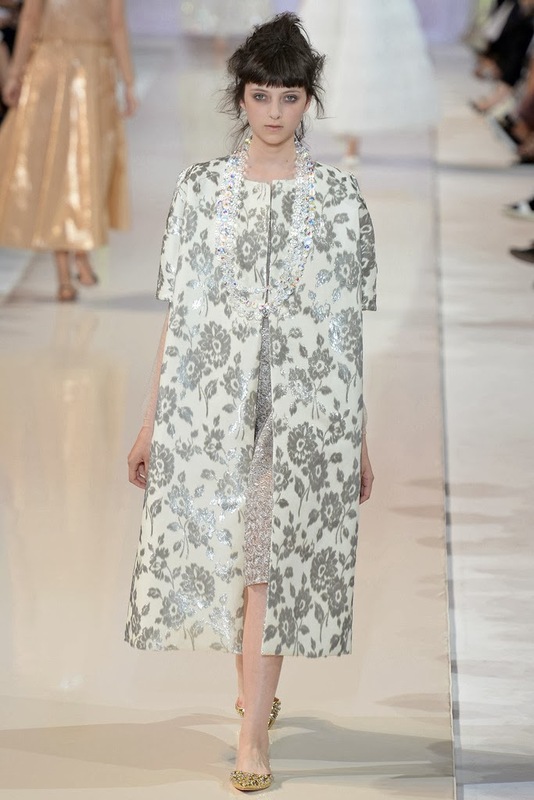 In what seems to be his final collection for the famed French house, creative director Marco Zanini sent out a sugary overdose of whimsical and enchanting femininity. 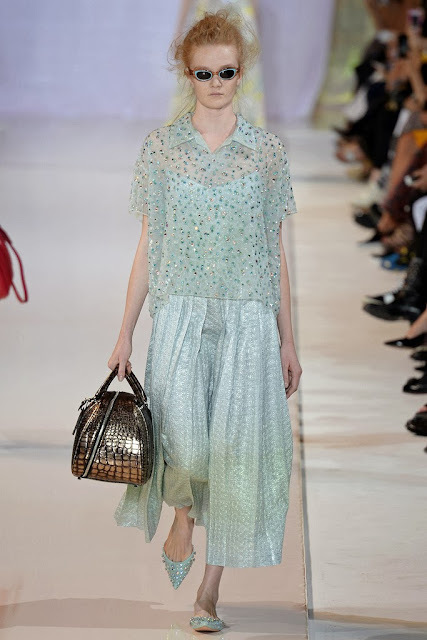 The very 50s/60s-inspired collection showed ballet-length skirts in the most gorgeous of fabrics – organzas shot with lurex thread in the softest pastels of the season, jacquard velvets and sheer gossamer-like knits with real glass buttons, shimmering lamés and ropes of clear Swarovski crystals. 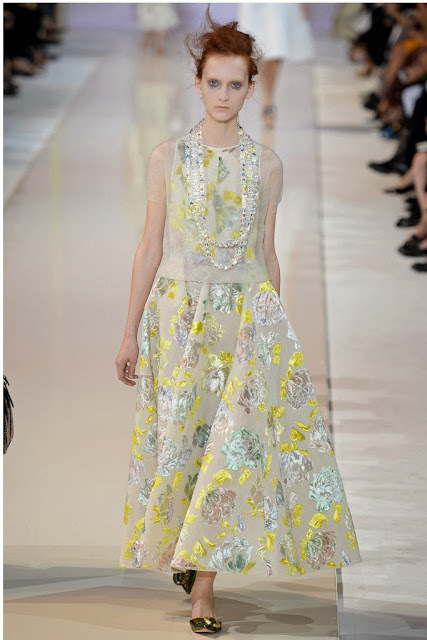 There was plenty of volume and shine in an elegant and ladylike presentation. 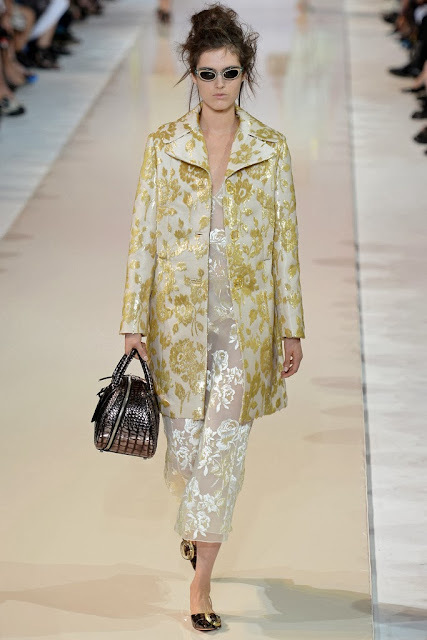 Like his fall/winter 2013 collection, Zanini embraced overblown floral prints and played with volume and shine, sending out models in an unconventionally classic but elegant and cohesive collection. But below the ankle, it was pure whimsy with his “floor duster” flats of ostrich feathers, satin and more crystals.